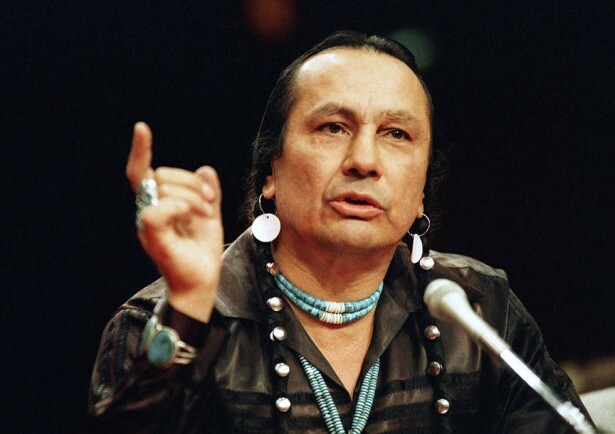 Russell Means has been called the most famous American Indian since Sitting Bull and Crazy Horse by the Los Angeles Times and recognized as a natural leader with a fearless dedication and indestructible sense of pride. This morning at 4:44 a.m. Means walked on amongst the ancestors. Means was a political activist and an early leader of the American Indian Movement (AIM) who had counted nine assassination attempts on his life, lost his fight with cancer. via Breaking News: Russell Means Walks On – ICTMN.com. Let’s just change that back, shall we?